“Life begins at the end of your comfort zone” – Neale Donald Walsch, author of Conversations with God. Women have come a long way in many fields, including in previously “male-dominated” bastions. In the US, 37% lawyers, 33% accountants and 63% auditors are women. But unfortunately, most women don’t like to come out of their comfort zone when it comes to fund management. Less than 10% of all fund managers in the US are women. While I don’t have the numbers for India, I believe the situation would not be very different. Why is women participation in fund management abysmally low? Traditionally, women have taken a supporting role for investment decisions. This likely represents age-old stereotypes and gender biases that have determined women’s career choices. Doctors, lawyers and auditors are all functions that have a perception of being “support oriented” or “nurturing”. Fund management—perceived as tougher, intense and more competitive—has not traditionally attracted women. I believe a big reason that women have stayed away from fund management, be it private equity, hedge funds or mutual fund investing, is their own mindset that they are perhaps not cut out for these fields. Ironically, the data proves otherwise. In fact, women are better fund managers. A study found that female fund managers consistently beat their male counterparts for over a decade. The annualised return of the Hedge Fund Research Indices Women Index from 2007 to 2015 was 5.64%. This compared with 3.75% for the HFRI Fund Weighted Corporate Index and negative 0.39% for the Global Hedge Fund Index, the study showed. There are a host of reasons for this, and while I am taking the liberty of making gross generalizations, I am outlining a few reasons below. In general, men tend to be more overconfident than women when it comes to investing. They think they know more than they do. It can lead them to trade too much, take too much risk and invest in companies that they don’t fully understand. Women will say they don’t know as much. They’re not as confident and tend to be more risk-averse. It sounds like a bad thing, but it can actually work to their advantage in the investment field. Women do more research and take it more seriously and rely a lot less on that “gut feeling”. Studies have shown that women trade less, are less apt to time the market and have less ego involved in their investments than their male counterparts. Second, women tend to see things in a holistic perspective – i.e. to see all the risks in a potential investment. Men tend to suffer more from confirmation bias, which the dictionary defines as “the tendency to interpret new evidence as confirmation of one's existing beliefs or theories”. The result is that women fund managers have less performance slippage from frequent trades, a reduced tendency to sell at the bottom and a more consistent application of their strategies. Financial editor and writer LouAnn Lofton, author of the recently released Warren Buffett Invests Like A Girl, studied the habits of the world’s most renowned investor and compared them to the latest research about men, women and investing. The conclusion is that Buffett has a decidedly feminine investing style. Like Buffett, women are more likely to have a calm temperament and a longer-term outlook. They do more research, trade less and remain steady under pressure, says Lofton. And what does Buffett think about the claim? “I plead guilty,” he said. So my advice to young women is to get out there. Step out and don’t have preconceived ideas about career choices. Your dream career may be waiting for you, right at the end of your comfort zone! 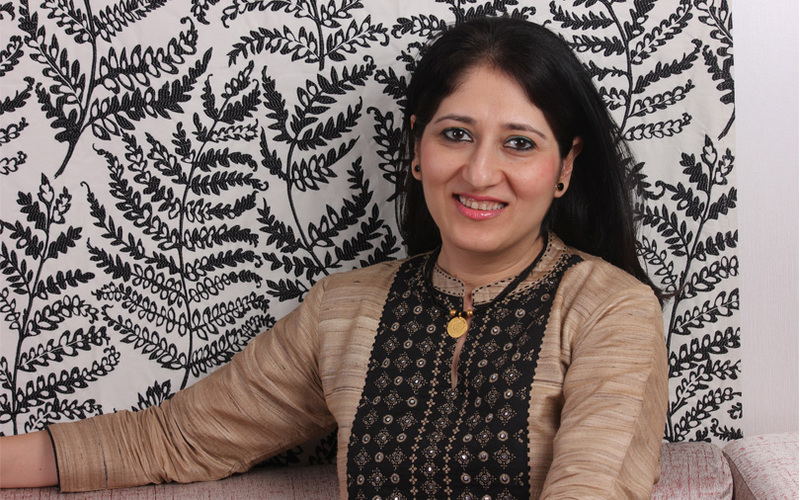 Shivani Bhasin Sachdeva is managing director and CEO at private equity firm India Alternatives.